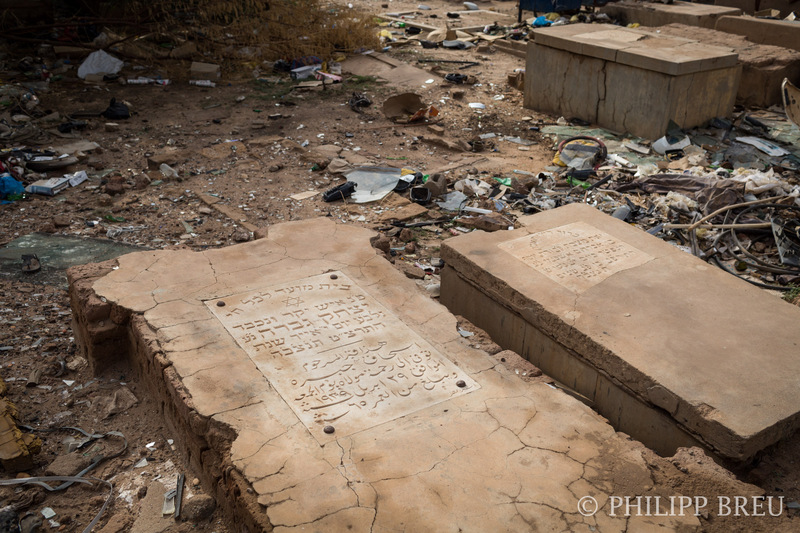 Very close to the central bus station, south of Souq al-Araby, Khartoum still has a tiny Jewish cemetery. 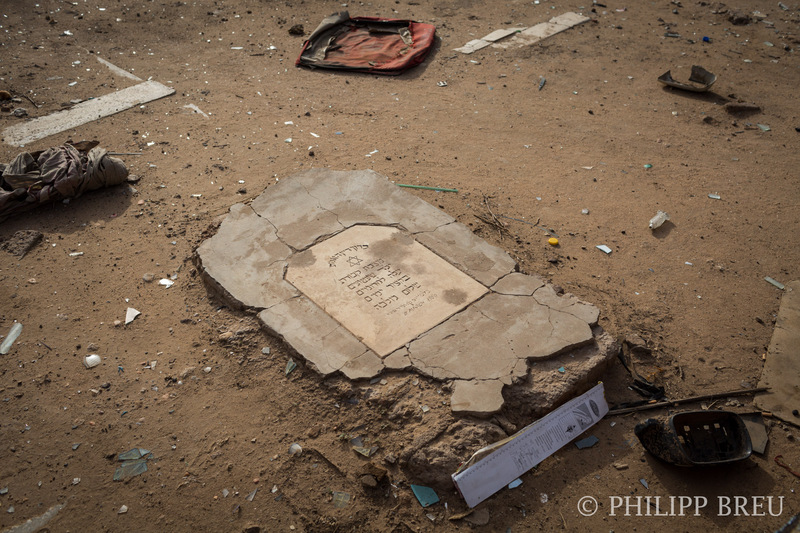 The graveyard features no more than maybe 40-50 graves, many of them are in dire shape. 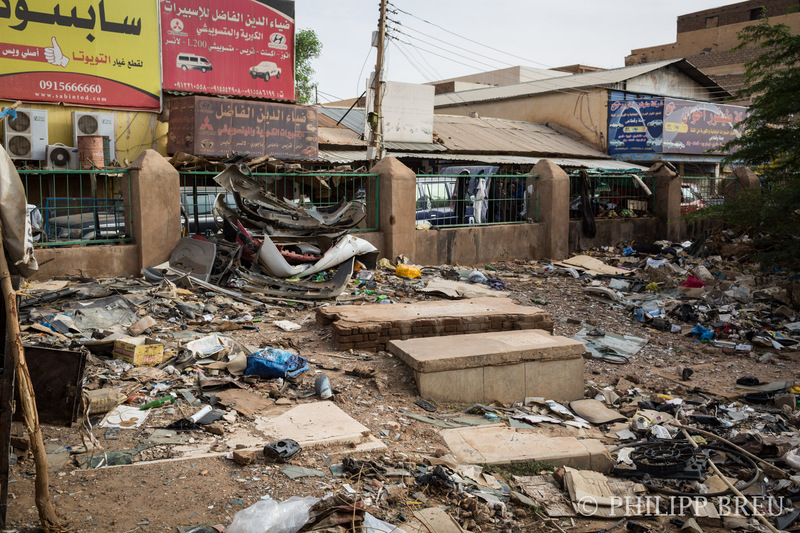 The cemetery is located in an area of Khartoum that has a lot of car workshops. 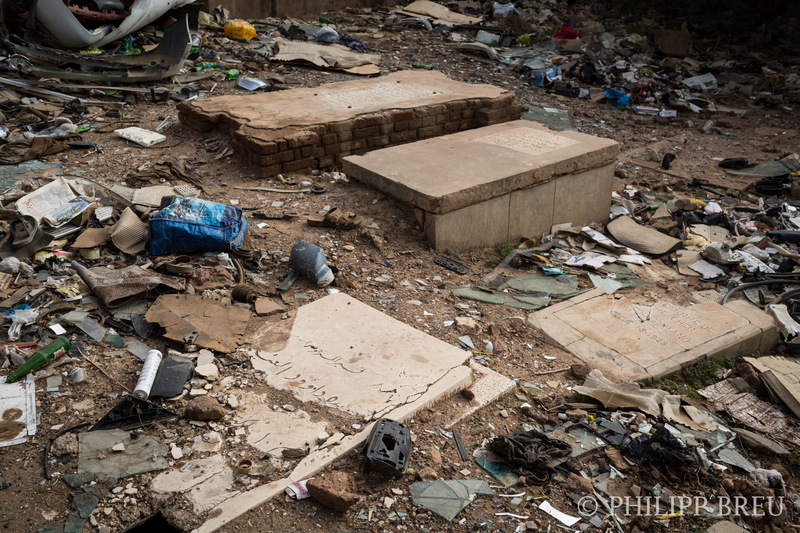 The workshops use the cemetery as a scrapyard and as a place to store their spare parts. 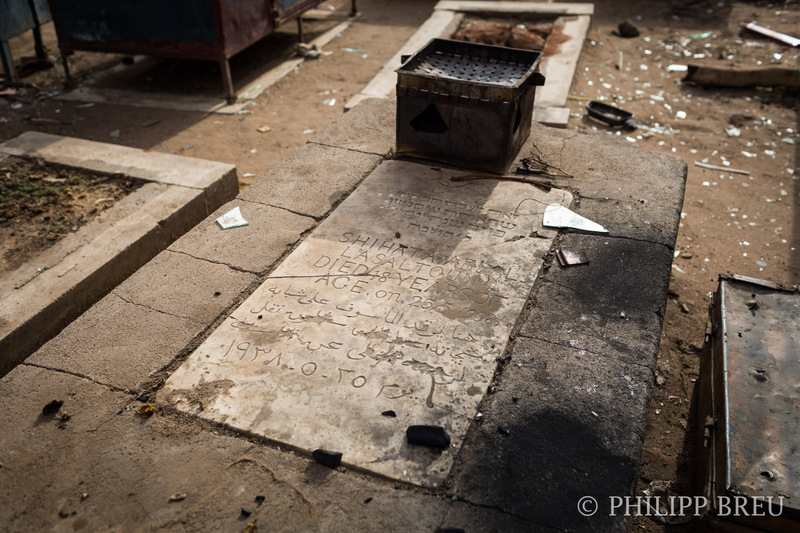 The newest grave dates back to the forties, before Sudan became independent in 1956. 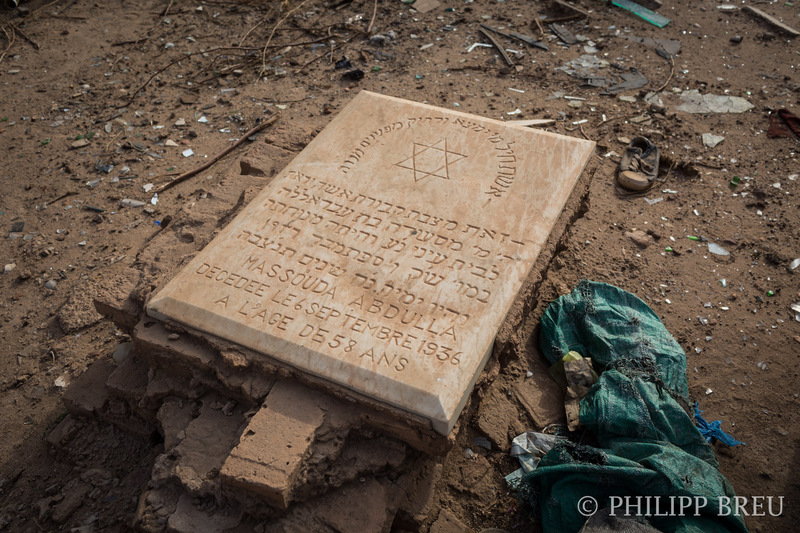 At its peak, Sudan hosted 500-1000 Jews mostly living in Khartoum and Omdurman. 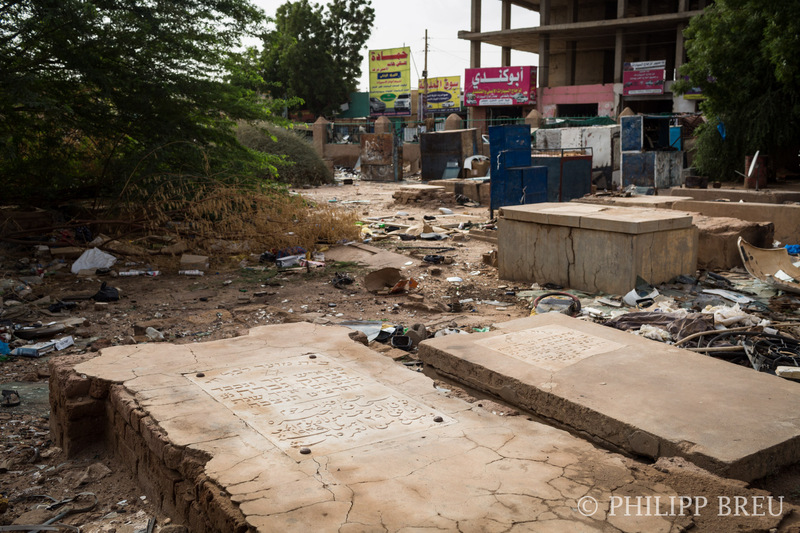 There is another cemetery in Omdurman, yet its location remains unknown today. 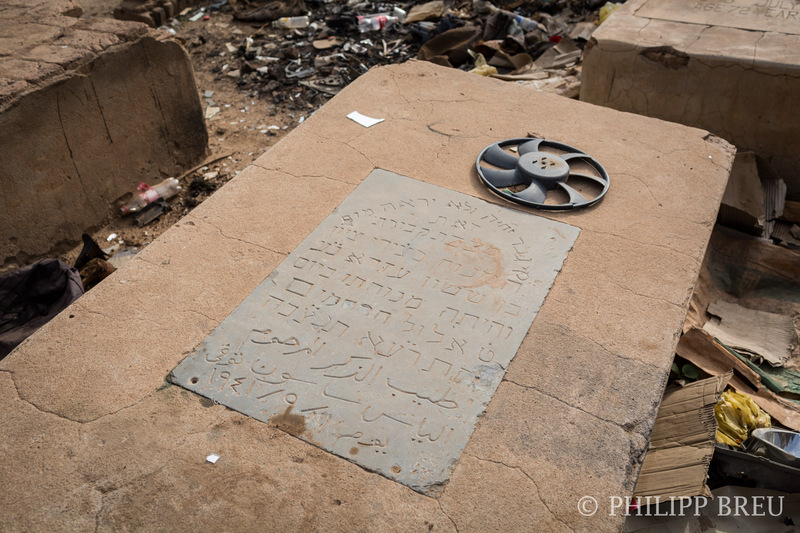 In 1977, a large scale air transfer brought most of the Jewish human remains from Sudan to Jerusalem for reburial. 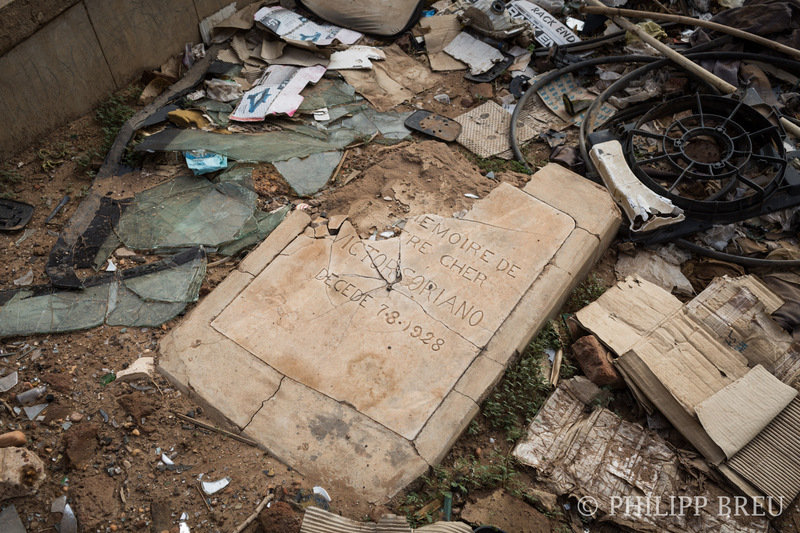 The GPS coordinates are 15°35’21″N 32°31’20″E. 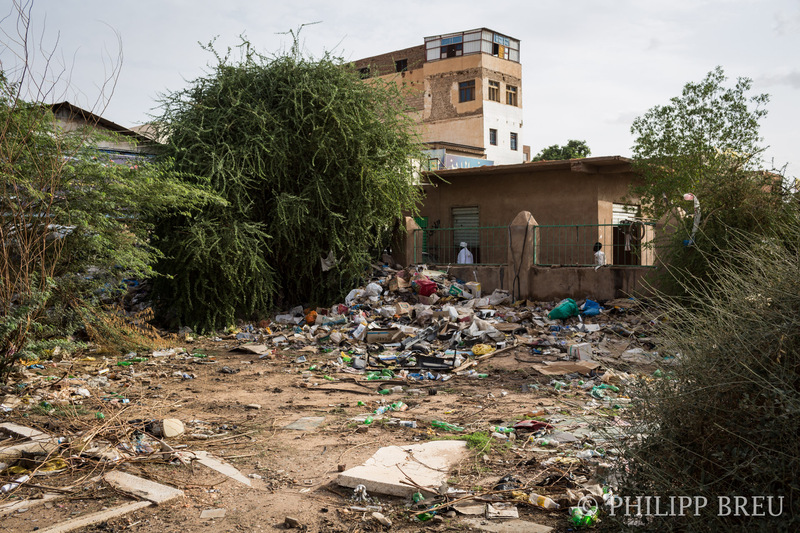 The entrance is located to the main street and Sudanese people will immediately approach you as a white visitor, because they already know that this is the only place in the area a white person would be looking for. When taking photos, the same people will ask you about your background and your where-abouts, maybe even ask for your phone number. As the feeling shifts from curiosity to hostility, the longer you stay, it didn’t feel comfortable to stay longer than 15 minutes. 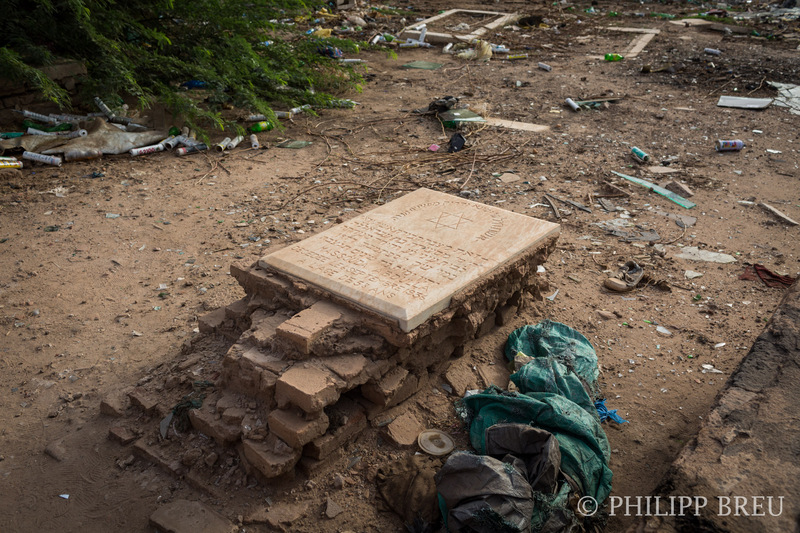 If you are interested to read more about the history of Jews in Sudan, read this article. 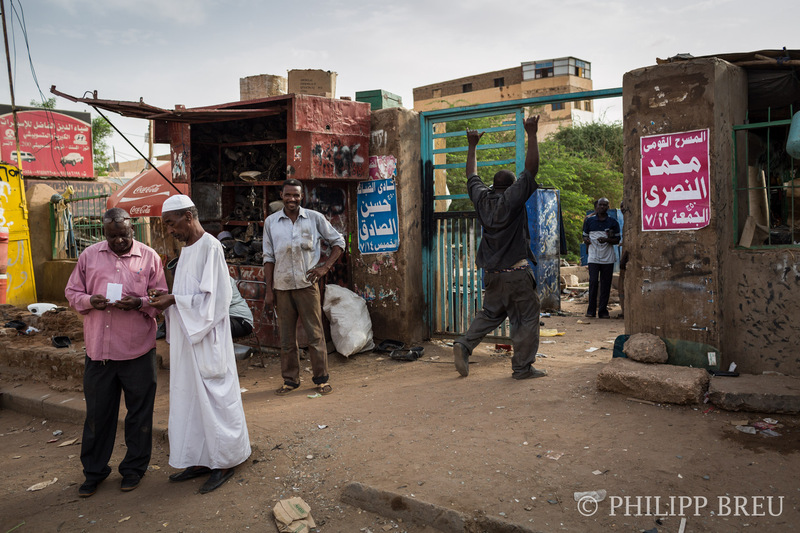 The entry gate to the cemetery in Khartoum. The shops of car part dealers can be seen in the background. 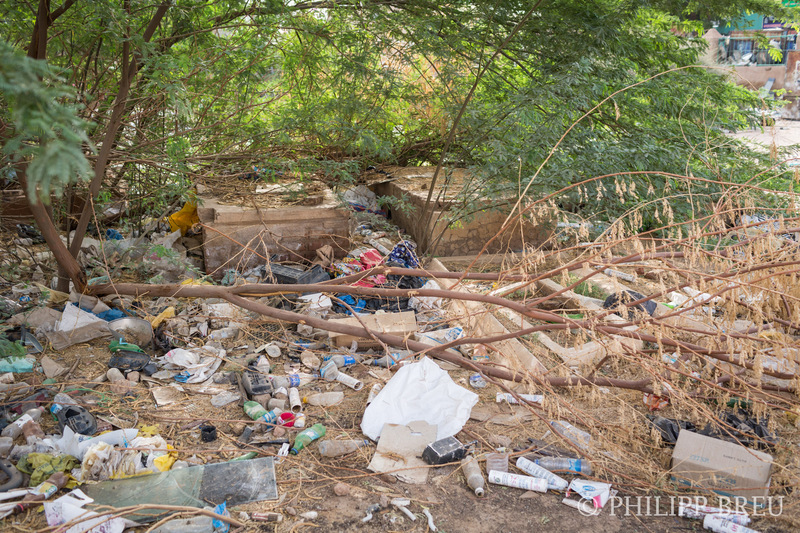 Car parts and garbage are all over the cemetery. 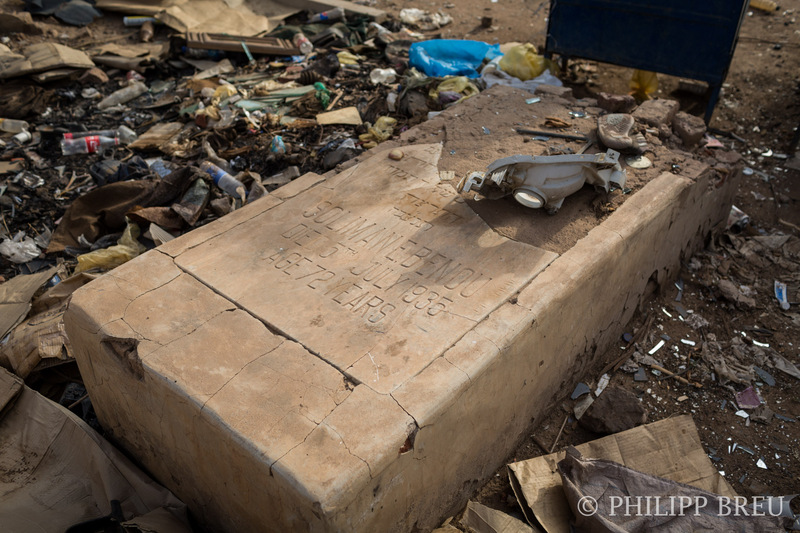 Graves like this one are covered in garbage and dirt so deep, you have to excavate them first to be able to read a name. 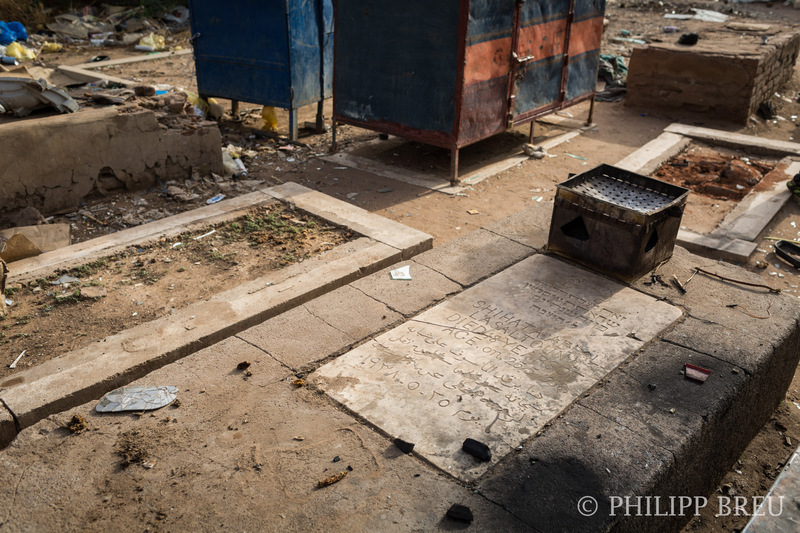 Trees are growing over some graves, making them impossible to identify. This is Daisy from Tales of Jewish Sudan. Amazing photos! I’d love to talk to you about the project and some of information I’ve had to correct since you wrote this blog post. 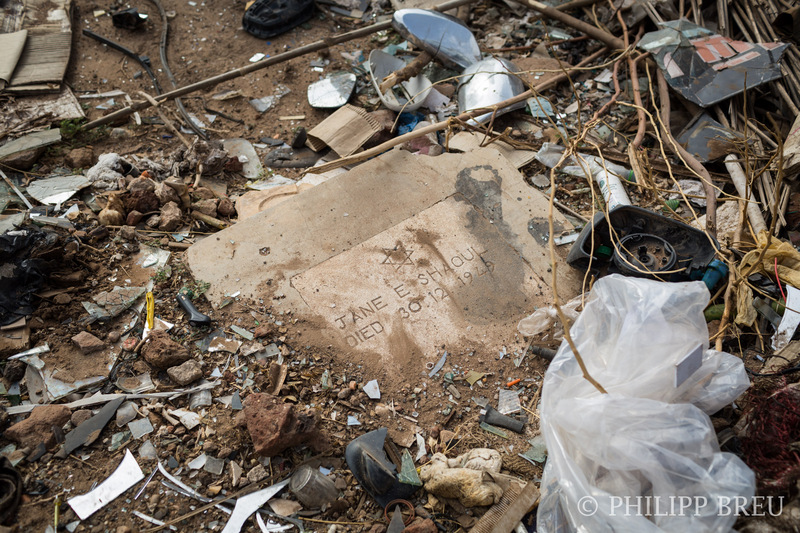 Again, great photos – they’re very touching. Dear Daisy, thank you very much for your comment. If you want to get in touch with me, please go ahead and write me an e-mail, thank you!